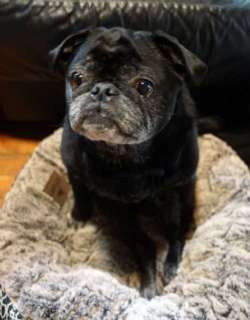 Bacchus, or "Mr. B" as he's called is a 10 year old Pug who came to us in need of a new home. His heartbroken young owner had to say good-bye due to his own life changes. Mr. B has a spinal issue had offers to supply him with wheels and within two days he was booking it around the shelter. He learned to turn on a dime within seconds. Mr. B is a very happy boy who loves dogs, kids, and cats. He has rolled with the punches and made the best out of his profound loss. Now we just need to find him a forever home with easy access to the outdoors (no stairs). He is in foster care and can be seen by private appointment once we receive your application at http://www.saveadog.org/applytoadopt.asp. 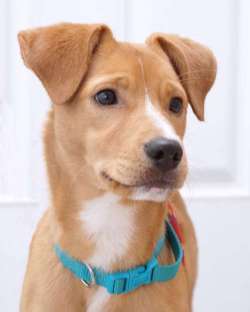 Becky (Rebecca) is a sweet 5 month old female mix who came from St. Thomas. She was found by the dump. She deserves much better. 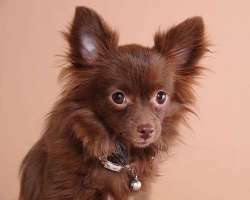 These pups tend to be a mix of a lot of small breeds so are not true Chihuahuas. 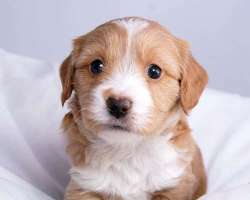 They are very healthy due to the many breeds (no inbreeding) and if you follow our holistic protocol you can expect your pup will grow into a nice healthy dog who will live a long life. 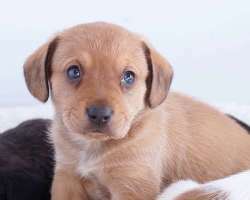 Puppies need someone home, no full time workers, please. More than 4 hours alone is too long. Please fill out the application and bring the whole family as we need to meet everyone before making a decision. Hours Sat 12-3 PM. Becky will need a fenced in yard. 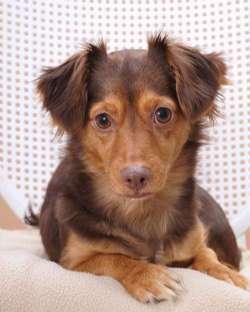 Brownie is a peppy 2 year old Long-haired Dachshund / Mini-aussie who is a little fire cracker. She's active, loves to play, and loves attention. She can open doors so needs a fenced in yard and safe situation (apartment might be fine). Someone who has time for her because she was in a working family and she needed more time. She is spayed and microchipped and available for adoption. She weighs 13 lbs. Brownie is still recovering from her spay and will NOT be at our Meet & Greet today (12/17). 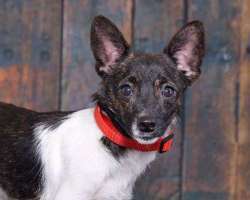 Danni is a 4 month old female Terrier mix who was left the gate of the humane society in St. Thomas. She deserves better. Look at how adorable she is! She is a funny and smart pup, loves to play and loves toys. She walks on a leash. gets along with other dogs. Please apply. 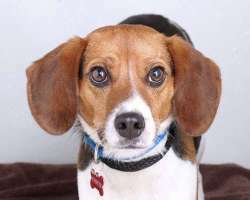 Donielle is a four year old Beagle who came to us after her owner passed away. 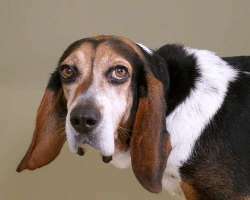 She has short legs like a Basset, but was registered as a full Beagle. She is the sweetest dog, great with dogs and kids. She failed the cat test, was too interested. She rides well in the car. She is house broken and crate trained. She needs the crate because she is a chewer. She will chew on wires, electrical cords, etc. so must be monitored. For a beagle she is relatively quiet, but when she barks she has the "Beagle bay". She is microchipped and up to date on vaccines. She would do best with a fenced in yard so she could sniff to her heart's delight or play with another dog off leash. She is not great on leash as she would rather spend all her time sniffing. She's a good eater, is not fussy. We have her on the Fromm and her coat is shiny as a result. Please fill out the online application so we can arrange for you to meet her. 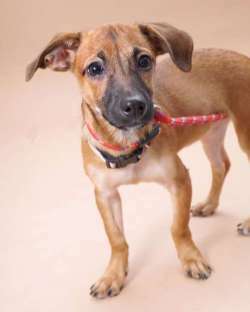 Empress is a beautiful 5 month old female pup who just came in from St. Thomas. She is pure mutt, but has the look of a short-haired Spitz or Eskie. She is a little shy but will blossom in your home. She's tiny right now, around 13 lbs. She's very healthy. 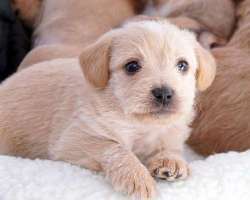 These pups tend to be a mix of a lot of small breeds.. They are very healthy due to the many breeds (no inbreeding) and if you follow our holistic protocol you can expect your pup will grow into a nice healthy dog who will live a long life. Puppies need someone home, no full time workers, please. More than 4 hours alone is too long. Please fill out the application and bring the whole family as we need to meet everyone before making a decision. Pls fill out the application on our Web site. Empress will need a fenced in yard as she's not very leash trained. Empress is doing well in her foster home, plays well with her foster brother. She is not fully housebroken, but is getting "it". Loves her kennel and sleeps through the night without any issues. Fiona is a Chi-Yorkie mix who is 5.5 months old. She and her brother Finn were born on 6/3/16 and are coming in from St. Thomas. She is a cutie. His owner had too many dogs. She will be available on 11/26/16. Flash, Franny, Freda, and Fritz are 8 week old Dachshund mix pups. Their mom is a purebred Dachshund. We don't know who the Dad is but the fur is longer than a typical Dachshund and they are pretty small. Dad could have been Dachshund too, but long-haired. 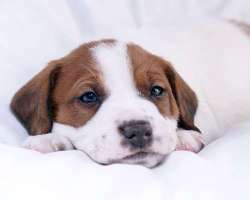 For puppies we require a stay-at-home or work-from-home. Tweens and up would be best for these young pups. 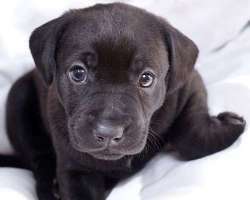 They require a stay at home in order to receive proper house training and socialization. Please be holistic minded as you will need to follow our minimal vaccination protocol for the life of the dog. Please plan on committing 15 years to your dog as only 1 in 5 puppies stays in their original homes and we want forever homes for these pups. 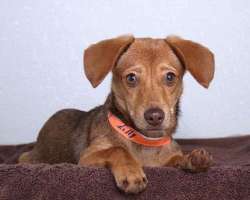 Hi there, My name is Francesca and I'm a little brown dog sitting in the shelter. Nobody is looking at me because I don't have a specific breed assigned to me, or the breeds that are on the software programs don't allow much creativity. I probably won't get very big as I only weigh 9 lbs. now and I'm 4 months old. I'm very healthy and very spunky. I would be too active for someone who wants a lap dog, but if you want a dog who loves to play, that's me. I would be great for kids. I love attention so can't be left alone for long hours. Three would be about all I could take. I'm learning to walk on leash but need some work in that department. Please adopt me. If you can fill out the application the volunteers will be in touch with you right away. Thank you! Hi I'm Frankie and I'm 3 months old. I'm looking for a wonderful loving adopter who can be at home during the day as I'm too young for day care. I promise to love you and obey you, if you train me, of course. I'm available soon. I'm called a terrier but i have short legs so could have Dachshund or Corgi. Soon you'll know, when you meet me. 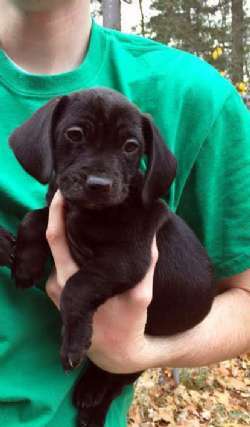 Freda is a confident 12 week old Dachshund mix pup. 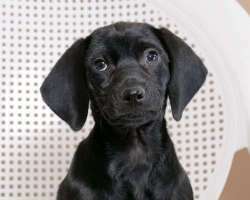 Her mom is a purebred Dachshund. We don't know who the Dad is but the fur is longer than a typical Dachshund and she's taller, with a shiny black coat (thanks to Fromm and supplements). Freda is a described as a big dog in a small body. She loves the outdoors and is not afraid of the snow. She loves to play with the big dogs too. She's almost house trained, loves her toys, sleeps through the night, and loves her chews. She was adopted briefly but was too much for the 4 year old Lab living in the household. If you have a mature dog, she might not be for you as she is relentless when it comes to play. She is teething so young children under 10 are not advised. If not redirected properly she will hang on your clothes and untie your shoe laces. Tweens and up would be best for her. 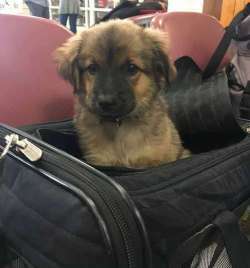 Our rule for puppies is that we require a stay-at-home or work-from-home situation, with easy access to the outside in order to maintain her house training skills. Pups require time and some skills in order to receive proper house training and socialization. Please be holistic minded as you will need to follow our minimal vaccination protocol for the life of the dog. Please plan on committing 15 years to your dog as only 1 in 5 puppies stays in their original homes and we want forever homes for these pups. Freda is available now. Hi there! My name is Hunter. I'm a happy, energetic 2 year old petite Beagle boy looking for a home. My rescuer says I get along with other dogs, cats, and even bunnies. I'm very friendly and am good with all over handling. I'm a beagle so I follow my nose, but I also walk great on leash. I got adopted by a family who didn't have time and then found a home with a young couple but they had allergies, so I was sadly returned. They said I was the best little dog. I'm house trained and crate trained too. I was great in obedience school and the trainer feels I have great potential as I'm highly treat motivated and am eager to work. In class I was learning sit, down, leave it and drop it and I was walking nicely on leash. Tweens and older is recommended. I would love to go with someone who is home at least half the day as I am not a dog who can sit in a crate for long periods of time. I'm healthy and happy and I long for my human to come and adopt me. 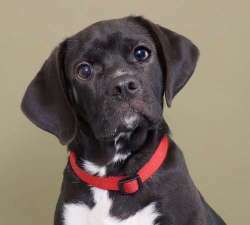 If you have interest in me please use the online adoption application on www.saveadog.org and come during the meet-and-greet hours to meet me. 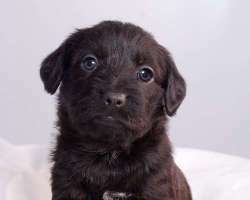 Hi, My name is Jamie and I'm an 8 week old pup looking for my forever home. I'm not a pup for under the Christmas tree, but I'm looking for a 12-15 year commitment from my people. Please be someone who is home or who has multiple responsible adult members who are home to care for me. I'm too young for daycare or a mid-day dog walker. I would love someone who knows and understand the Shepherd breed as we are bred to be protective. Socialization is my goal for the next year as well as positive training. No chokes, prongs for me and no electric fences, please. Please fill out the application on the Save A Dog web site: http://www.saveadog.org/applytoadopt.asp and someone will be in touch with you about meeting me. WE HAD MANY GREAT APPLICANTS VISIT JAMIE TODAY. PLEASE DO NOT BE DISCOURAGED IF YOU DIDN'T GET A CALL. 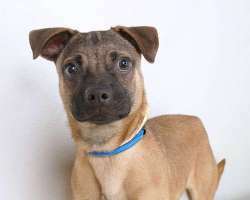 Johnny is a one year old neutered male Pug/Chi mix who is a great catch. He likes to walk. He's good with people and likes other dogs. He runs around the yard in circles, trying to get their attention. He loves to chase a ball and he leaps in the air just for the fun of it. What a little clown he is. He weighs under 20 lbs. He passed the cat test! 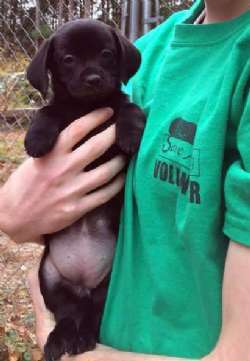 He is available 12/6/16 at Save A Dog, 604 Boston Post Rd, Sudbury, MA. If you fill out the application we can make a private appointment to meet him. Or come during our drop in hours. 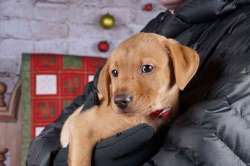 Lilly is an adorable, very friendly 4 month old Dachshound mix who weighs 14 lbs. Her tail never stops wagging! She was found in a neighborhood running the streets. 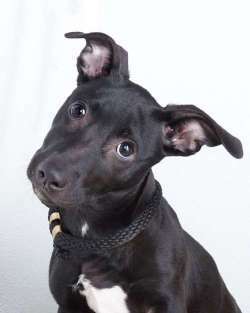 She is a sweet, playful pup who walks well on a leash. She gets along with other dogs. Available 12/6/16. Luna loves her nap time and has been known to miss the organized playtime sessions, preferring to sleep. When she does play, she holds her own with all her siblings. She has become a firm favorite with the mini Schnauzer in the house.Born to Sonja the wire-haired terrier on 10/14/16 these pups will require a stay-at-home adopter who will continue the wonderful job that the foster mom has done with socializing and training the pups. Private appointments only after we receive and review your application. No phone calls please. Local adopters only as we won't have to reach far to find fabulous homes for these pups. Mia is a petite 2 year old spayed female Pom. She was found as a stray. She is a really sweet dog, potty trained, she likes to chew so whoever adopts her must have plenty of toys and chews for her. She gets along well with small dogs and does okay with cats. She likes to cuddle (lap dog). Very gentle. She knows her name. She gets nervous in car (drools a lot), but with positive exposure she should be fine. Mia will be available by private appointment on Thursday 12/22/16. Anyone would be happy to have her. Please apply at www.saveadog.org. 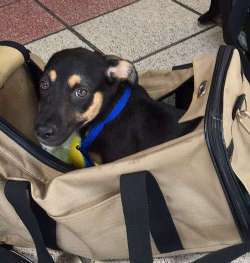 Hi there, My name is Mike and I flew in from St. Croix so that I can find a great home. I would love someone to be home with me all day so that I don't get lonely and so that I can learn proper crate and house training. I've already had my picture taken with Santa. Will you take me home? Please apply online at www.saveadog.org. Because Mike is currently being treated for hookworms, we are only sending him to an adult-only home. MILEY LIVED WITH NINE CATS AND EVEN SLEPT WITH THEM! Don't miss out on this awesome dog! 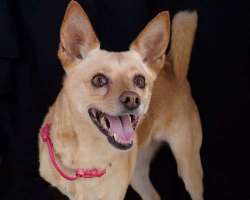 Miley is a very friendly 4 year old female dog (spayed). She's great with people and took up with the rescuer's husband immediately. She is great on a leash and is a very lovable, nice little dog. She got hit by a car and lost her leg in a previous home so the shelter took her back and she was in a foster home. Regardless of her missing leg, she runs like the wind and she loves to ride in the car. She came from Indiana. She's great with cats, even sleeps with them. Available 11/22/16. She's little, not more than 25 lbs. 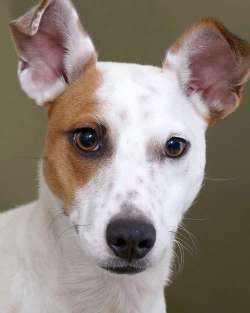 Hi there, My name is Milo and I am a year old, neutered, Rat Terrier and I weigh about 12 lbs. I'm a lot of fun and super friendly and outgoing. I will keep you laughing. I'm like a wind up toy, always in motion, but then i like to sleep on the top of the sofa so I can look out the window. I was briefly adopted with my brother, Otis, but two dogs were too much for the family. I know that I will find a home quickly because I'm so lovable. I might be too active for an older dog, but I will play with a younger dog all day long, so keep that in mind. Thanks so much! I'm in a foster home so go to the saveadog.org web site, fill out the application, and they will arrange for a private appointment. You won't be disappointed! Mocha, the largest of the females, is a gentle soul. The last of the puppies to really enjoy and seek out cuddle time, but now will happily curl up and sleep on any lap. Born to Sonja the wire-haired terrier on 10/14/16 these pups will require a stay-at-home adopter who will continue the wonderful job that the foster mom has done with socializing and training the pups. Private appointments only after we receive and review your application. No phone calls please. Local adopters only as we won't have to reach far to find fabulous homes for these pups. Muffin has the most amazing silky coat which if it lasts will require some ongoing attention. She works hard to attract human attention from batting you with her paws, to rolling over and offering her belly. She loves her cuddles, but equally holds her own in any play fight. Born to Sonja the wire-haired terrier on 10/14/16 these pups will require a stay-at-home adopter who will continue the wonderful job that the foster mom has done with socializing and training the pups. Private appointments only after we receive and review your application. No phone calls please. Local adopters only as we won't have to reach far to find fabulous homes for these pups. 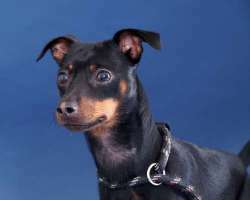 Oliver is a one year old Min Pin. He is a local dog who was turned into Animal Control because his family felt he was too shy. It turns out that Oliver is one of the most confident, happy, playful dogs we've ever met. He gets so excited on the beginning of his walks that he hops walks on his hind legs and dances down the street. He takes a bit to warm up at first, but then is your BFF. He's a sweet boy. Because of his initial shyness Oliver is available through private appointments only. Please fill out an online application and we will contact you to set something up. Oliver will not be at Today's Saturday (12/10) Meet and Greet. 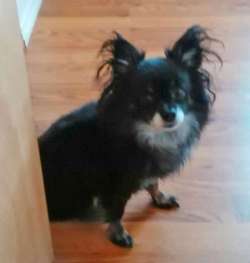 Oscar is a neutered 5 year old long haired chihuahua who weighs 3 lbs So very sweet. Great with kids, dogs and cats. Will play with cats and dogs equally. Loves to be carried. Owner moved and couldn't take her dogs Because he is so tiny we think tweens and up would be safest for him. He's housebroken, crate trained and loves snuggling on your lap. He minds very well and works hard to please you. He loves for you to hold him and carry him around too. Pixie, the smallest of the puppies, has the biggest personality. This puppy shows no fear and regularly climbs out the indoor puppy pen to explore the house and be with the "big" dogs! Often found outside the puppy pen sleeping alone on a big bed! This little escape artist needs a "Fort Knox" safe back yard. Born to Sonja the wire-haired terrier on 10/14/16 these pups will require a stay-at-home adopter who will continue the wonderful job that the foster mom has done with socializing and training the pups. Private appointments only after we receive and review your application. No phone calls please. Local adopters only as we won't have to reach far to find fabulous homes for these pups. 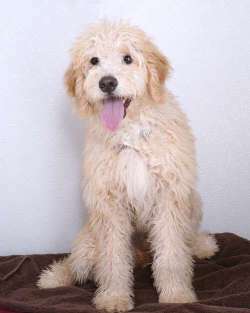 Princess is a young female Golden Doodle who needs a dog-savvy adopter as she needs house-training. Princess needs a stay-at-home as she needs to be let out every hour. Positive reinforcement training approach is a must. She was bought at a pet store as a present for the kids and the family did not know how to train her so she needs some remedial house training and leash training work. She is nervous in the car, due to lack of exposure. 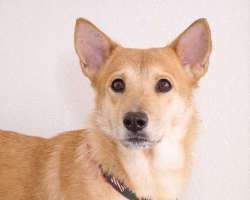 She is lovable and friendly and will go far with the right family, but she has a ton of energy and needs a lot of exercise -- a fenced in yard is a must. Another young dog to play with would help tire her out. Tweens and up would be best as she is a jumper and is still teething. No phone calls and no walk-ins please. 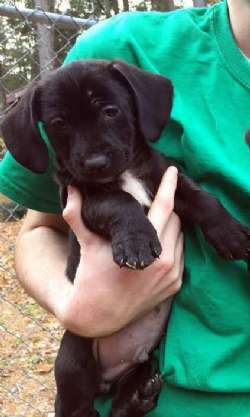 Please fill out the online application at http://www.saveadog.org/applytoadopt.asp. 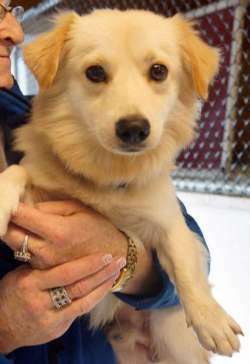 Ramon is an adorable long-haired 1 year old Spaniel mix. He's beyond cute and looks like a mini-Golden Retriever. He is very sweet. He will be available Sat 12/1 at our shelter. Hi there, My name is Roger Rabbit. I'm an 18 month old "Mutt". You can guess what I am, but does it really matter? Look into my big brown eyes and tell me you won't love me. I am awesome and so lovable. I like to play with other dogs and I already walk well on a leash. I'm a Happy boy. I weigh 32 lbs. and I'm already neutered. . I'm hoping to find a great home soon as I'm very frightened in the shelter. I will also need a fenced yard due to my shy nature. He passed the cat test. A little afraid of the cats and stays away. Rudy is a brave and confident little puppy, he is the big brother to all his siblings. 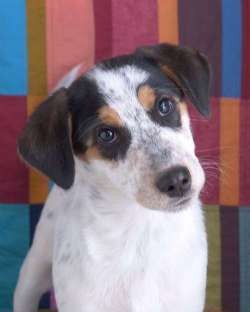 He is very playful, social and enjoys lots of attention from his human family, he is a sweet affectionate little guy. Born on August 25th. Rusty is always looking for the next thing to play with whether it be tearing up pee pads or digging the water out of the water bowl. He loves to chase and play fight with his siblings. Will squeak to be picked up and cuddled first! Plays hard. Born to Sonja the wire-haired terrier on 10/14/16 these pups will require a stay-at-home adopter who will continue the wonderful job that the foster mom has done with socializing and training the pups. Shadow, the kissing puppy, loves nothing better than to be picked up and be allowed to give kisses. 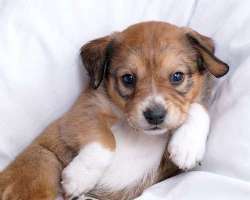 He is an active, energetic puppy who plays well. He looks to have some Lab, but we don't know for sure. Born to Sonja the wire-haired terrier on 10/14/16 these pups will require a stay-at-home adopter who will continue the wonderful job that the foster mom has done with socializing and training the pups. Hi my name is Shotgun and with your help I had my eye surgery and now am headed to my forever family. Much thanks to all the rescue angels and sponsors who made this possible! I am a 14 week old Pug / English Bulldog mix puppy. I currently weigh around 13 lbs. My buddy Pistol and I are made the long trip from West Virginia to find our forever homes. I'm looking for a wonderful loving adopter who can be at home during the day as I'm too young for day care. I promise to love you and obey you, if you train me of course. If you are interested in me please fill out the online application as it will speed up the process. I passed my health certificate and am available now. Your donations will give me a good start to life. Smores is the largest of the puppies is the gentle giant of the group. He likes to stare at you to gain your attention. Born to Sonja the wire-haired terrier on 10/14/16 these pups will require a stay-at-home adopter who will continue the wonderful job that the foster mom has done with socializing and training the pups. 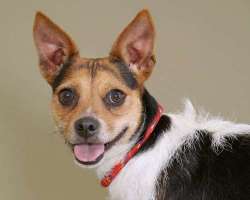 Sonja is a 3 year old female terrier who was discovered to be pregnant during her health exam. The father is thought to be a Boston Terrier. She's very sweet and great with older kids and other dogs. She's good on a leash. She is very loving and snuggles well. She weighs 40 lbs. Please fill out an application ahead of time if you want to be considered for her as she will be a popular dog, but she won't be available until after the pups are weaned and then a month later she will need to be spayed. As we will have Sonja for a few months, donations are appreciated to help with her expenses. 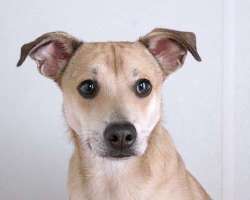 Hi there, My name is Spuds and I'm a 1 year old neutered male terrier mix. I look like a Smooth-coated Fox terrier. I weigh 30 lbs. I love to play with toys. I like to give kisses. I'm good on leash. I love kids and am great with teenaged boys. I'm a cat chaser so no cats. I am fine with other dogs, but don't like to share so may i should be an only dog, at least in the beginning. I love to chase a ball. I can jump pretty high to catch it. I'm a lot of fun. My foster mom says about me, "Spuds is very intelligent. He knows "sit, down and come" commands. He is very treat motivated. He is housebroken. He loves his walks, walks well on a leash, with no pulling, looks to you for direction and is very compliant. Spuds has moderate prey drive, but is easily redirected. He is very friendly with other dogs, male and female, large and small, always wants to play with the dogs he meets. Spuds can sometimes be a little mouthy, but he'll happily take a squeaky toy or a bully stick when you redirect him. Spuds crates nicely, may whine briefly but quiets right down. He snuggles next to you for a while before retiring to his crate for the night. He is a real sweetie. He's going to bring a lot of joy who whomever adopts him!" This little cutie was dumped at a deer camp and left to starve and fend for herself. ​She's ADORABLE and doesn't hold her ordeal against anyone. She's friendly and loves everyone. 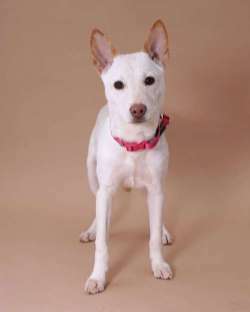 Apply at http://www.saveadog.org/applytoadopt.asp or come meet her during our drop in hours. Please let us know you are coming so we can have her here as she is in a foster home. Here's what her foster mom says: She is a complete cuddle bug. She loves people, cuddling, burying herself under blankets. She will be completely attached to whoever is lucky to be her adopter. She is fine with dogs but doesn't need another dog. Her favorite spot is in your arms. She loves both men and women. She is really quiet so far and does not react to people visiting. She and my older dog sniff each other but that's it. She would be perfectly fine without another dog in the family. I hope she finds an amazing family! Hello there! My name is Taupy and I'm a beautiful 3 year old Corgi girl. 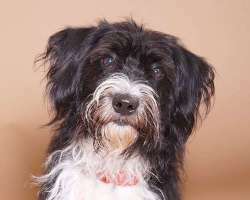 My previous owner turned me into the shelter because they didn't have enough time for me, so I'm looking for an adopter that can give me the attention I deserve. I can be a little shy when I first meet you, but I bond quickly and am sweet as can be. I love to give kisses and play with my toys. I wasn't raised with kids, so living with them would be overwhelming but visiting children would be fine. I can't wait to meet you, so please fill out an online application and set up an appointment to come right away!